For the last time, the grey girls make their way to the pasture. Mimi’s all-star trot should take her to the big time. Endings and beginnings are always bittersweet for me. I love my animals too much to not be emotionally attached to them. I swear they take a piece of my heart each time they move on. But I am also convinced that my life with animals is one hundred times richer for their presence. We have had pony Mimi up for sale. I knew she would not be one to stay. She is young and inexperienced and Jordyn, at five, is too young and inexperienced for them to make a show team. Lauren is too old to show ponies. Yesterday, two ladies from Lone Star Sporthorses were coming to take Mimi for a two-week trial. This is common in the horse world. If the horse is older, you want to make sure that he is sound and sane when you get him away from his mothership. But Mimi is young and pretty much, what you see is what you get, so I expect her to stay with this new home. If she comes home, they didn’t know what a three year-old pony was all about, because she is pretty good one. 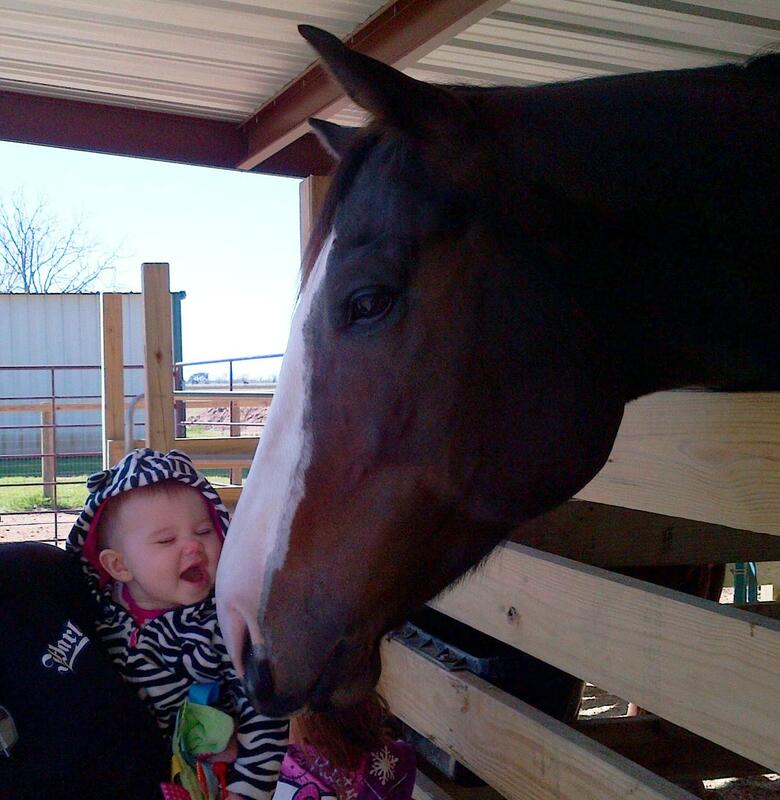 Jordyn spent the night on Friday and Lauren was going out-of-town so when we let the horses out on Saturday, we knew it was likely to be the last time Mimi would spend with her best friend Feather. 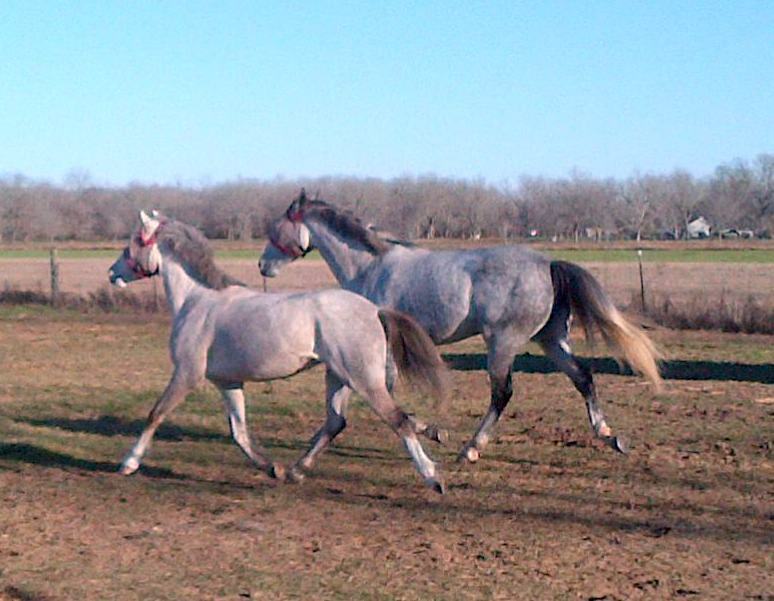 They trotted happily, blissfully out to the back pasture, caught in a picture in a trot that shows both of their breeding and conformation. It was Lauren’s last look at the little pony who brought the joy of riding back to her life. In the uncomplicated world of pony riding, Lauren had re-gained the love of a simple gallop down the fenceline. She had learned some things from that pony too! Like, how to growl at a bully and make a horse respect you. After Lauren left, Jo and I completed our chores. Jordyn knows the routine and can muck a stall with the best of them. I told her how her mama used to clean stalls as a teenager to make extra money. Jordyn just was amazed. Like as a job, she asked. I said yes, like a job. Jordyn has her lesson on Saturday morning. 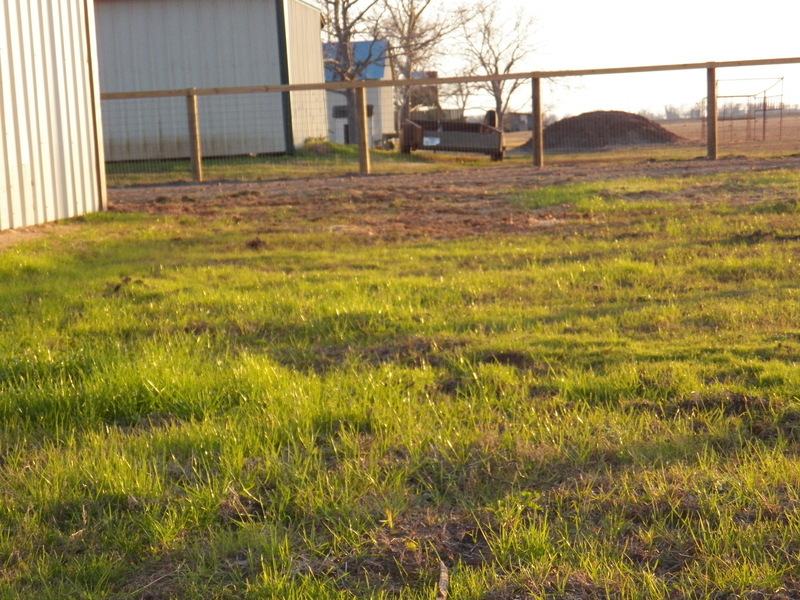 I was stalling a bit because all the horses were way out in the back but as we dumped our wheelbarrow of manure, little Mimi picked up her head and watched us. We called to her and in she came. I asked Jo if she wanted to ride Mimi one last time. Mimi was reacting to cold morning air and was a handful as I saddled her. I was a little concerned about how this lesson would go. We went out to the arena and I lunged Mimi first. She was running, bucking and pulling. I let her blow off some steam. When I thought she was ready, Jordyn got on, but I did not let loose of lead rope. But I shouldn’t have worried. Mimi settled in and gave Jordyn a great last ride. I let them loose on their own, and they maneuvered over poles, turned and stopped as asked. In fact, it was the best Jo has ever ridden. Of course it was. Ally came with Kendyll a little later. Kendyll loves to see big Bruno. He had his head out over the stall and Kendyll would just giggle and laugh whenever he blew his soft breath on her. The people for Mimi got here right on time. I got her from her stall, kissed her little nose, told her to be good and watched her load easily into their trailer. I think she will be a grand pony! I will keep you up on all her progress. My 95 year old step-father, Jim, continues to work day by day to get better following his fall and subsequent brain surgery a few weeks ago. The days are filled with various types of exercises, mental, physical, and just plain hard. His son, Jay and I, were trying to think of something to cheer Jim up after a particularly trying day of rehab. I suggested a book or a DVD and then we both came up the idea to have mom and Jordyn create a video. Wow, what an afternoon I had trying to create that cinematic masterpiece. I had this idea to take mom down to the dining room where she would look endearingly into the camera (in this case, my Blackberry phone-which she could not even fathom was a camera). Then she would be prompted to tell Jim that she loved him and missed him. This would be followed by her telling him to get well soon. Then I would pan the camera to Jordyn who would be standing by with elderly resident Bernice and they would take off in their version of the Texas Two-Step. The dancing between Bernice and Jordyn actually has been going on for some time. Bernice is a former nurse who loves children and Jordyn always enjoys the attention she gets when she and Bernice take the floor. After the great dance, Jordyn would turn to the camera and tell her great-grandpa Jim to get well. That part actually went pretty well. The rest of my plan not so much. When Jordyn and I got there, mom was already upset because Jim had just been there and he wasn’t sick or in the hospital. She did not understand why we would send a video to him if he was just there! How ridiculous of me! Wait, don’t get confused! Yes, Jim is in a hospital in Arizona but mom in some delusion of the day thought he had just been there visiting with her in her in Texas. I told her Jim was in Arizona. Jordyn told her that Jim had not been there, that he was sick and in the hospital. She did not believe us. I mean, she really, absolutely, was convinced that he had just been there. Jordyn proceeded to help mom get her hair combed, get her make-up on and get ready for the video. Each time I tried to get her to repeat the lines for the video, she went off on a rant about Jim and how he had just been there. I guess her point was, we did not need to make a video because she had just seen him. We got her dressed, finished the make-up and headed to the dining room. Bernice showed up right on time. We explained the plan to make the little video. First, Bernice asked me if this was like that little Micheal Jackson thing that had just come out on the Letter TV station (M TV??). I told her it was certainly similar. But she was thrilled to be part of the show! While it did not go at all like I planned, it is still cute. Mom doesn’t want to tell Jim she loves him as she starts to tell me again-I just need to believe her. I cut her off (I am sorry and not proud of my behavior) and went to the dancing of Jo and Bernice. Well, we tried. Jim, we all send you our love and best wishes that you are back to your terrific self soon! Maybe next time, my video wishes to you will be a little better directed. It is now somewhere around the 60th day that Bruno has been locked in a stall approximately 16 feet by 12 feet. That is a relatively large stall by stall standards but not so much based on Bruno’s enormous size. I saw Mary Lou post a picture today of the famous Clydesdales that are in Houston for an event this weekend. I cannot be sure but it looked as though they were being stabled at the Katy Equestrian Center. Big horses in small stalls, respectively, but then that probably happens to those horses a lot unless they are in their home space. So, we have given Bruno a big stall but nothing much to do as the days pass by. I recently read a book available on Amazon by Lynn M. Mueller titled My Little OTTB. It is the story of the first year after she purchased her first OTTB and the series of medical, training and other misadventures that befall them. I enjoyed the book and recommend to my OTTB friends and also my friends like Amy who have been leasing horses for some time and now, maybe are looking to get their own horse. Ms. Mueller also has an OTTB that ends up on stall rest and she outlines some ideas to keep him happy. I tried all the things she suggested. An ad for the Jolly Ball. First, she suggests the Jolly Ball seen above. I have seen a lot of these sitting unused in stalls over the years. They are a large (like 18 inch diameter) ball with a handle. Supposedly, the horse is going to want to grab the ball and throw it or kick it around his stall. I have never seen it happen but its Bruno, so we ordered one. At first he was scared of it. But he is a mouthy guy, liking to grab the handle of your pitchfork or a brush out of the grooming tray so it didn’t take long for him to decide it was fun to grab the ball in his mouth or smash the ball around his stall in a sort of soccer, football, la crosse game that he invented. Lauren has come out to find the ball on the outside of his stall as well. His walls are almost seven feet high so maybe there is some basketball component in his new game as well. So far he has not crushed the Jolly Ball. 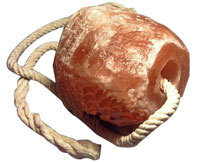 Ms. Mueller also suggested a Himalayan salt block on a rope (I am not kidding-they make these-they look like soap on a rope only it is a block of salt). There is a similar product on the market but Ms. Mueller recommended against the ‘Lik-it’ which provides a flavored treat on a rope between two metal pieces. Her horse destroyed that quickly and I figured Bruno would as well. Horses need salt. Normally, I provide that by placing a large (think 40 pound) block of salt in the pasture where all the horses can lick it at will. It occurred to me that neither Bru or Kid had access to the salt so why not try the Salt on a Rope? Well, another point to Ms. Mueller and her advice. We tied the salt on a rope (why it has to be Himalayan salt-and is it really I have no idea) to Bruno and Kid’s stall walls. Wow. Bruno LOVES his Himalayan salt. He chews on it, covers it with slobber, bangs it against the stall wall and entertains himself endlessly. It is just one fun game after another. But then he just had to go too far. Lauren was cleaning other stalls today and heard a crash and a big splash. Not what you want to hear if you are on a campaign to keep your horse’s foot dry. Rushing to Bruno’s stall, she found he had successfully ripped his water bucket off the wall, proceeding in dumping all the water in his stall, and then enlisting the water bucket as a second member in his Jolly Ball team. 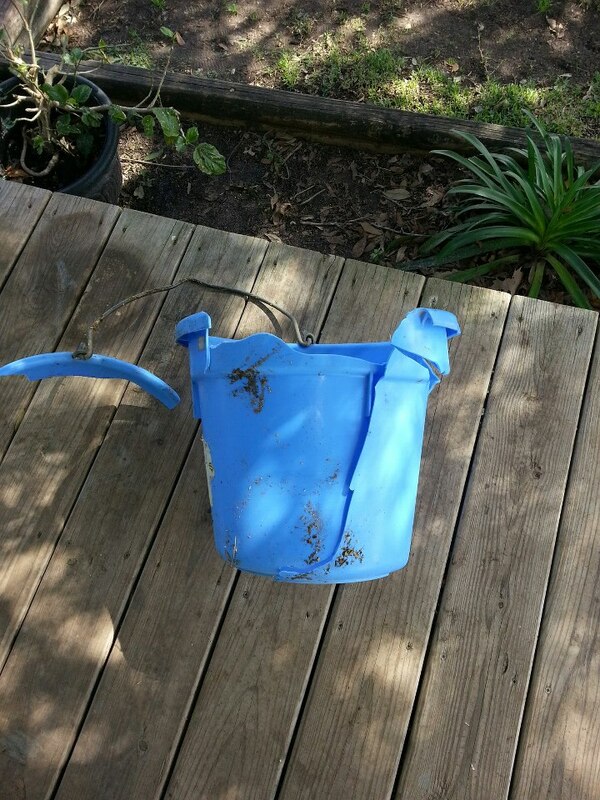 Except-the water bucket did not hold up to the kicking, smashing and throwing like the Jolly Ball. I guess they just don’t make buckets as tough as they used to! Bruno destroyed and then ejected his water bucket from his stall. Students-well, this applies in multiple ways tonight. 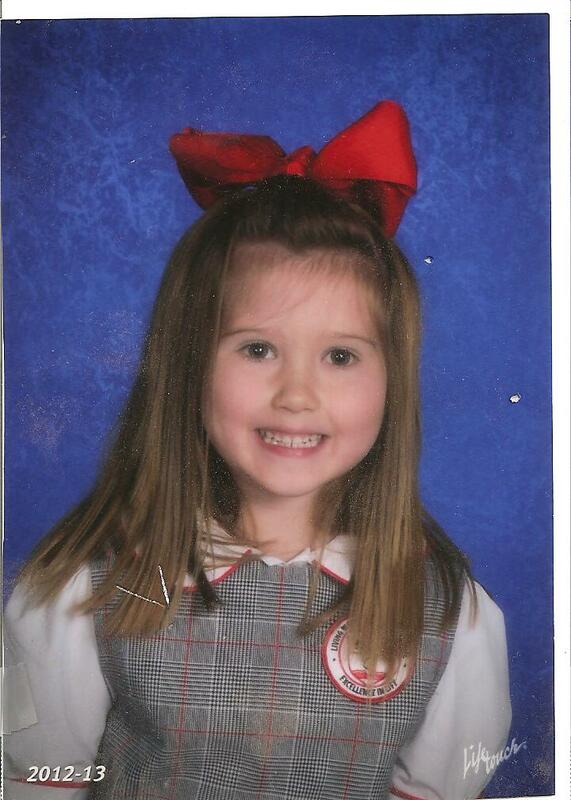 Jordyn called me at work early this morning to tell me-“guess what, Granny?” “What, Jo?” “I am student of the month for January!” What a nice thing-I mean she is in kindergarten so it not like she made the Harvard Law Review but still. I am proud that she works hard and studies hard. Likewise, our friend Caitlyn (the one who rode the national horse finals this year) was awarded another scholarship from yet another major university. The decisions as to who will be named to each college’s NCAA equestrian team will not be known until April, so Caitlyn has yet to make a decision as to where she will be going, but what an honor. She has worked hard to have the test scores, the grades and equestrian abilities to get noticed by the top schools. She is exemplifying the word student-or more accurately Top Student. I can’t wait to see where she ends up going! And in Arizona, Jim continues to trudge along, re-learning what used to come so easily to him. His basic skills, dressing, bathing, and daily living activities are going well. But his ability to say exactly what he thinks is a little impaired. But he is a good student and improving each day. How incredibly frustrating for such an articulate, intelligent man. Now, the expected dismissal date home is Feb. 21st and I bet he makes it happen. I have been challenged to learn all types of new things at work. I have been overwhelmed, impatient, not the best of sports. I am old. I am needing to learn three new computer systems. But today, suddenly, things clicked. I have been covering one position and the newly hired employee is now in place (thank God!). I found out today that I actually knew and understood way more than I thought. There were multiple times when I had the right answer-oh, my goodness, it was amazing. One of the other specialized reporting systems, that has given me trouble for the last two years, suddenly made sense. I had to go ask two other co-workers to help me get it downloaded and operational (it takes a village to train me!) but we did it! I was a little ridiculous, clapping my hands and exclaiming with glee. I guess I can still be a student, too! Top student, well, maybe not, but at least I am getting it done. Congrats to all the students. School, training, re-hab, are all tough jobs. Well done. Jordyn and Kendyll dedicating their lives to walking with the spirit. 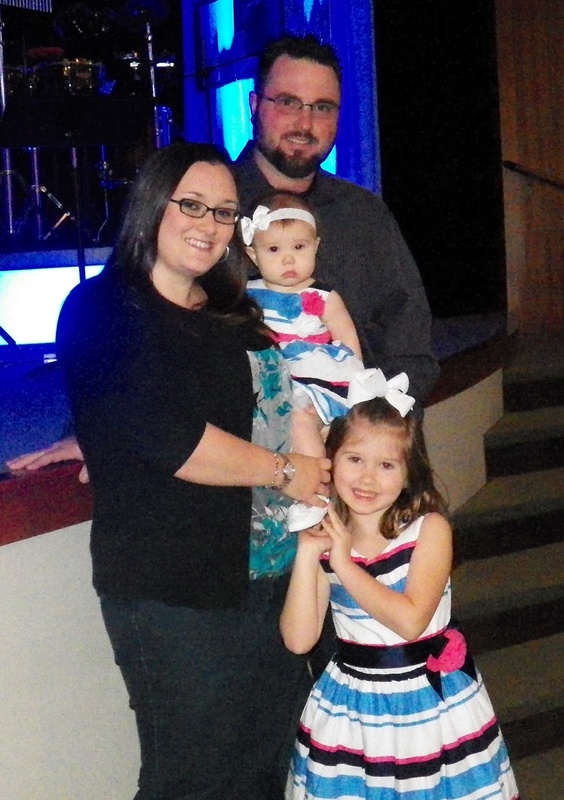 Jordyn and baby sister Kendyll were part of a baby dedication last night. While not the church either Ally or Luke was brought up in, or one I had visited before, it was great to see them choosing this path for their children. While I feel a deep presence of God in my life, I have been lax in finding a path to a specific church since coming to Texas. I enjoyed the service, welcomed the fellowship and have thought a lot about the message the pastor provided last night. He spoke of walking in the spirit, not because of rules or necessity but because we have the freedom to be Christians (or whatever we choose) and by making that choice are free to be better people. I have struggled with depression. I have struggled with despair. But if I freely let God lead me, I can accept and live more gently. Anyway, I will try harder to walk with the spirit. In other news, Jim is coming back strong after his fall. There is a rumor that he may head home soon. 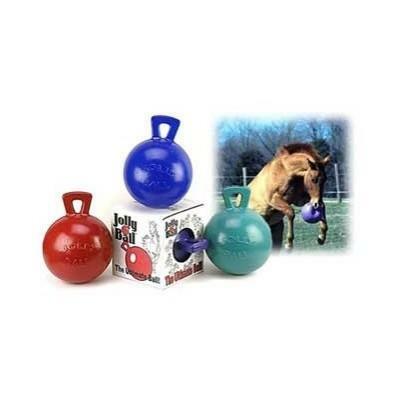 We picked up a couple of new toys for Bruno to help him pass the time in his stall. He had suggested hanging the Corgi in his stall by a rope so that he could bat her around but we opted for a ball he can push around with his nose and kick about with his hooves. He seems to be enjoying it. It hasn’t landed outside the stall or been crushed yet so those are good signs. We sent pictures of Bruno’s hoof to Dr. Marsh today at TAMU. We are hoping for new advice on his care. Also, we have a good possibility of Mimi leaving to go to a great show home. They want to try her a couple weeks so we will see how she does. Feather has her first show of 2013 in two weeks. Lauren and Feather had a pretty rough ride at the lesson Thursday. Nothing atypical of a young horse. Just atypical of Feather. I hope that is out of her system! The last two mornings as I directed the puppies out the back door for breakfast I have encountered gentle early morning (pre-dawn really) rain. When you have six dogs, which no one should ever have, feeding them is a little challenging. We learned the hard way that each dog should have its own dish and spot to eat. Jon Katz, blog writer, author of many dog books suggests having each dog sit at their designated bowl then feeding them in the same order each day. This method has been pretty successful. But it requires that all the dogs eat outside. It is difficult to implement on a rainy morning. With gentle rain, when it is warm, the dogs just get a little wet (and muddy). Not ideal but far better then moving all the dishes and dogs inside. Next in the feeding rotation are the horses. The rain caught me unexpectedly Wednesday morning. I had put Mickey, Feather and Mimi out the night before. Mickey was totally dry and secure, alone, in the run-in shed. What a surprise! The girls were soaked and standing woe begotten in the dim fog. Getting them into their stalls resulted in some pretty muddy pj’s for me. Of course, I go out and feed in my pjs. Why would I waste time getting dressed only to shower and redress for work? We make the feed for the horse’s dinner and next morning’s breakfast the day before. Each horse has their own color feed bowl and gets a unique meal. Feather is pink and Bru is black. Surprising choices, I know. Lauren will be out by 7:00 or so to water and hay. The final “Cindy” chore is feeding the cats. One can of canned food is split amongst whatever cats show up for breakfast. Then I head in to get ready for my day. It is about 4:30 am by this point. When the fog and rain surround the farm, I feel protected and safe. It is like we are in our own safe little world. Yesterday morning Gordan Lightfoot’s (I realize probably 85 percent of you have no idea who I am talking about) old song, ‘Early Morning Rain’ popped into my head. It was a good memory of my younger days. It is starting to get green around here again. Jim is continuing to get better each day. Jay reports from Tucson that yesterday Jim was allowed out of bed with a walker (for stability) and he was quickly whizzing down the hallways amazing the nursing staff with his prowess and speed. He is brighter and looking forward to busting out of the hospital even if his next stop will be for a little inpatient rehab before he is allowed to go home. I have said a hundred times, if I am half as able, mentally and physically, as he is at 95 I will be blessed. Some would counter that I am not as mentally and physically able as him now! After Jordyn spilled the story of Jim and his fall to my mom, she has asked about him each day. But somehow she has it in her head that he did not just fall down. Each day she asks me “how did Jim fall out of a tree?” I don’t have any idea where she got that from-I am sure Jordyn never said anything about a tree. She has had a spread of almost a week where she recognized Jordyn, Lauren and I. But yesterday, she couldn’t even keep it straight who I was. But when she did, she begged to come home with me. She told me she could just curl up in a ball and hide in the corner of my house. I hate telling her no, that she has to stay. It is getting warm here-80 degrees today. We will have to figure out how to keep Bruno cool if this stall confinement continues much longer. I guess it is time to break out the fans and get them circulating some air. I feel like we just took them down. I will need to get some kind of roof extension to provide more shade to keep Bruno from living in an Easy Bake Oven as the temperatures increase. He is in a metal building that is open in front but completely closed along one side and the back. When the sun hits the metal it just holds the heat. Open to the eastern sun, in the winter this is a nice asset but come hotter days by early morning it is baking hot inside the stalls. As the sun moves across the sky, the stalls fall into shade so afternoons are fairly comfortable. We are continuing with the every three-day wrapping of Bruno’s hoof. 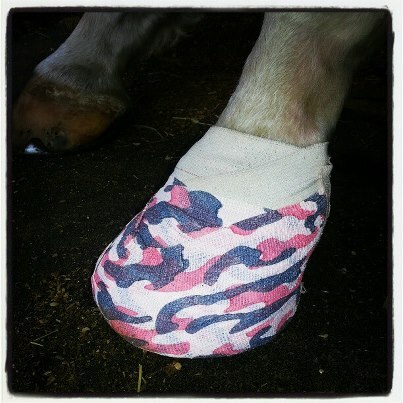 Lauren has had fun coming up with new patterns of Vet Wrap to use. We will be sending a picture to his vet at Texas A&M at the next bandage change to see if we need to change any of treatment we are doing for him. Bruno sporting pink camo vet wrap this week. Lauren is busy riding her horses and going to school. She is having an extremely hectic semester between all the farm activities, school and keeping the household running. Work has picked up for me and I am not contributing much to chores around here. Amber is feeling better after her bout with the flu. Lexi had her 18 month check up and shots today so she, no doubt, is not very happy tonight. We met Ally and family on Sunday for a birthday lunch. Kendyll entertained herself by eating avocados. She is a Texas baby. 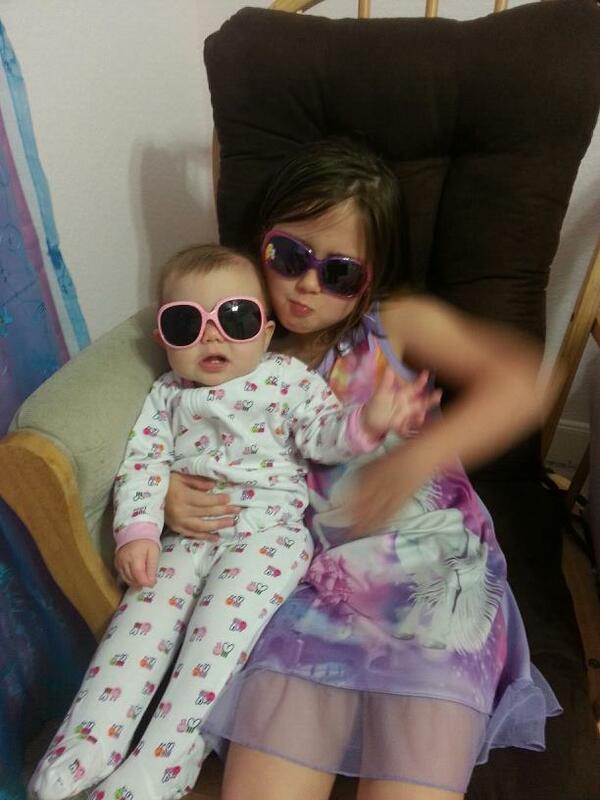 Kendyll and Jordyn ready for the Texas summer although it is February. It comes early around here.